Légende Bordeaux Blanc 2017 - $17.99 – Pair With Galentine's Day! Légende Bordeaux Blanc, made from Sauvignon and Sémillon, explodes with freshness. On the nose, refined and aromatic, combining citrus notes (grapefruit, lime) with aromas of exotic fruit (passion fruit). On the palate, the wine is fresh, lively, seductive, and aromatic, with exotic notes on the finish. Légende Bordeaux Rouge 2016 - $17.99 – Pair With Single's Night! 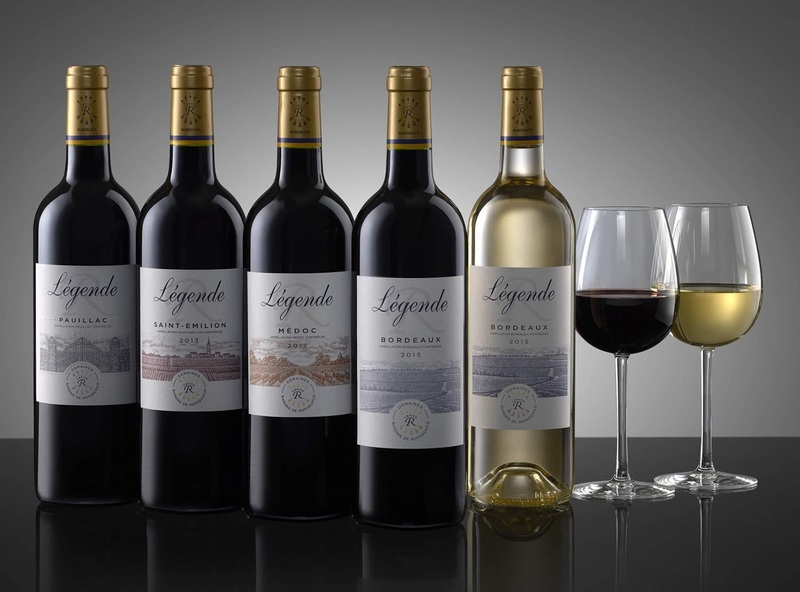 Légende Médoc 2016 - $24.99 – Pair With A First Date! Légende Saint- Émilion 2016 - $36.99 – Perfect For The Recently Engaged! Légende Saint-Emilion is a harmonious blend of Merlot and Cabernet Franc. With its fruity, toasty bouquet, this elegant wine is round and well balanced on the palate – a fine illustration of this prestigious appellation with a full-bodied attack, plump, soft tannins, and a pleasantly fresh finish. Légende Pauillac 2015 - $49.99 – Pair With The Long Lasting Couple! A major appellation in the Médoc, Pauillac benefits from exceptional terroir characterized by gravelly hilltops on a clay subsoil which ensures natural drainage and encourages the vines to develop deep roots - these are the perfect conditions for Cabernet Sauvignon. Pauillac is partly made from grapes grown in Domaines Barons de Rothschild (Lafite)’s own vineyards and the wines are made with the same attention to detail as the Grand Vin. Their structure is less concentrated than their prestigious elders, allowing them to age quickly, and after just a few months in bottle; they offer an original, unique style, with the fullness and complexity for which the appellation is renowned. A powerful, structured wine, with well-integrated tannins and a long aromatic black pepper, licorice finish.